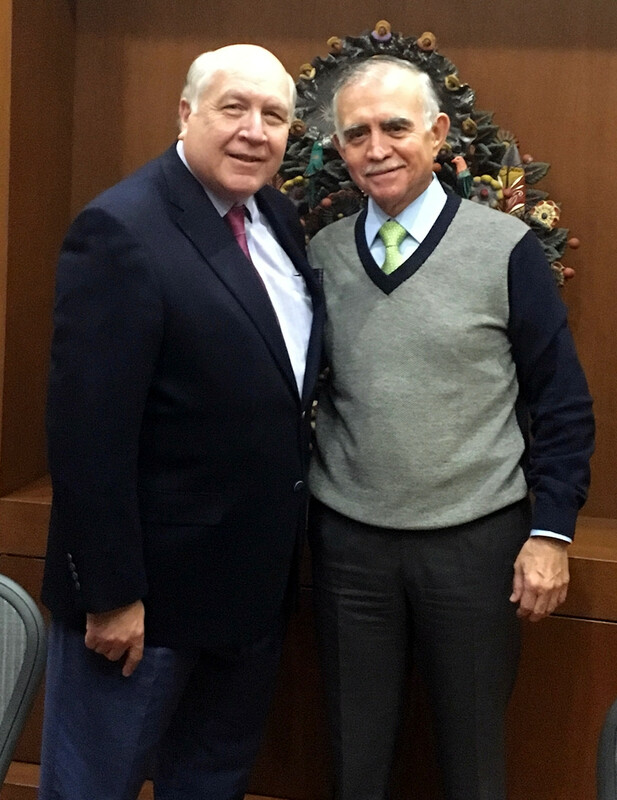 IBC Bank Executive Vice President Gerald “Gerry” Schwebel recently participated in a mission to Mexico City to meet with leaders of the incoming government of President-elect Andrés Manuel López Obrador. 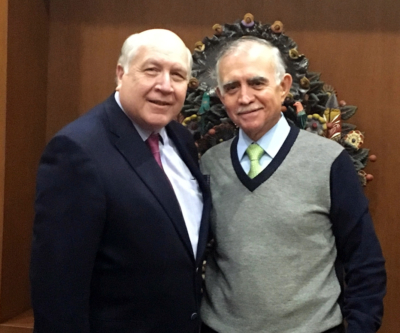 Organizer of the mission was the U.S.-Mexico CEO Dialogue, an initiative of the U.S. Chamber of Commerce. The group, made up of both U.S. and Mexican leaders, addresses core issues in the countries’ bilateral relationship. Schwebel and other representatives met with both Mexican Economic Minister designee Graciela Marquez and Chief of Staff designee and Liaison to the Mexican private sector Alfonso Romo. Also in attendance were officials from the Mexican Foreign Ministry. The visit follows the recent announcement of a bilateral trade agreement between the United States and Mexico.